I thought this book was a really intriguing read. 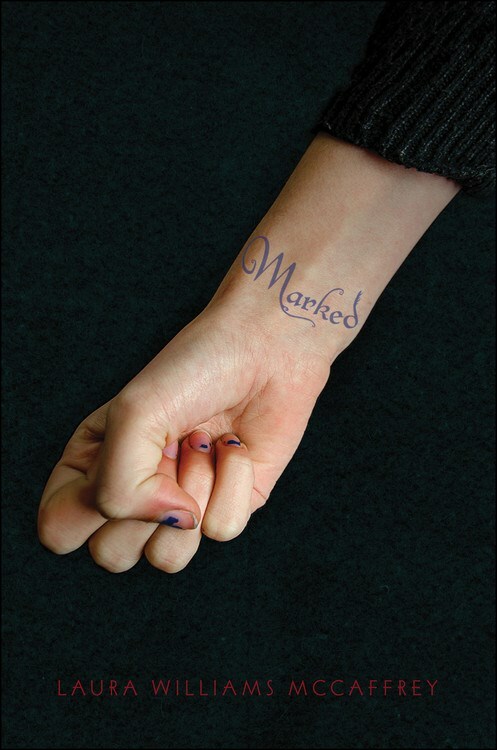 It was interesting to see a society where criminals were actually marked to indicate they were criminals… and how those people were treated by others who weren’t marked. I did find Lyla to be a really interesting character. Her love of the zines was something I found really easy to relate to. I thought it was really interesting to see the contrasts between what she was doing and the zines she enjoyed reading. It was good to see the relationship between Lyla and Gill. I liked the opportunity to see the way they interacted and the fact that they’d known each other in the past added a different dynamic to their relationship. It would have been good to see a bit more of the background to the world. Although there were bits and pieces of the history shown through the zines and the interactions between the characters, I was still left somewhat confused about exactly how and why the society had formed. I liked the fact that neither side was good or bad. I did think that Red Fist had less moral members… but the end of the book, I felt similarly about the Bluecoats. I thought the artwork was really good to see included in the book… both from the zines, but also in what Gill was drawing. I thought that was a fairly unique thing to include in the book. I enjoyed seeing Lyla’s relationship with her sister and her parents, though I would have liked to see a bit more of her parents. I did like seeing Lyla’s interactions with the other characters and it was good to see that she did have goals and dreams. I thought Spinner was an interesting character and one I would have liked to see and learn more of. I really didn’t like Jit… but I felt a lot of sympathy for Nose. 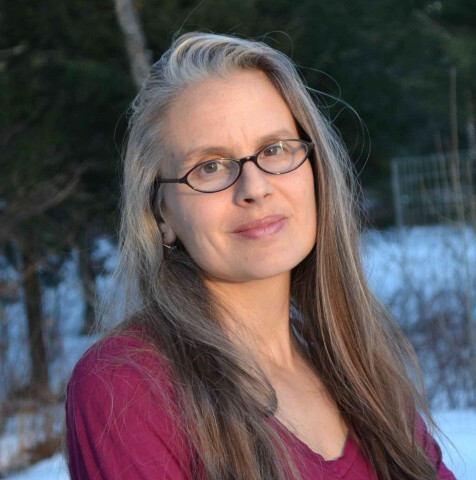 It would have been good to see more of the history of the other members of Gill’s ‘crew’. In a way, I did feel that the ending was a bit confusing… but I did like what it implied. I would like to read more books set in this world in the future. 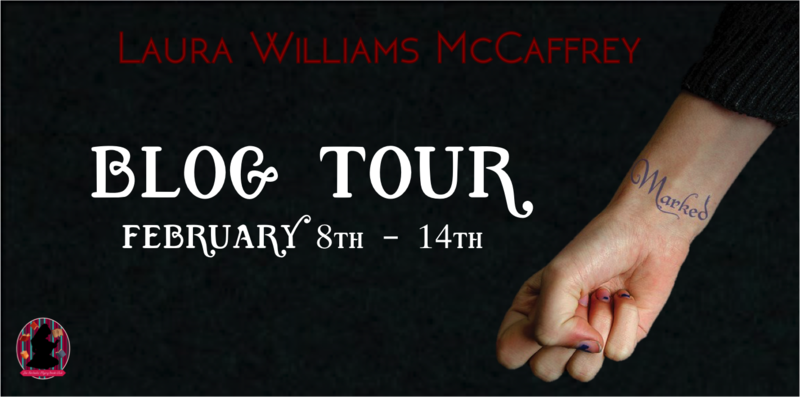 Follow the Marked by Laura Williams McCaffrey Blog Tour and don’t miss anything! Click on the banner to see the tour schedule.